Mahón, the capital, which has a major natural port and other beautiful spots such as the Portal de Sant Roc gate and the La Mola fortress. A visit to the Santuario de la Virgen del Monte Toro hermitage, dedicated to Menorca's patron saint, is highly recommended; admire the megalithic monuments scattered across the land and the Gothic and Neoclassic style cathedral of Santa María, in Ciutadella. Plan your trip to coincide with the celebration of San Juan, when horses become the focal theme of the local festivities. Don't forget to sample some pomada, a local drink made from Menorca gin and lemonade. 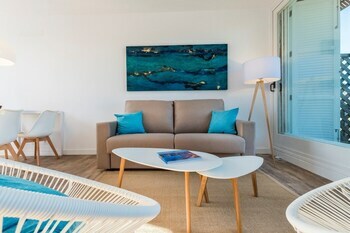 On Menorca holidays, the main theme involves its idyllic coves, including Cala Blanca, dotted with exotic caves; Cala en Bosc, with beach huts for a welcome rest from the heat; Cala en Turqueta, where the colour of the sea pays tribute to its name; and the coves of Macarella and Macarelleta, which often decorate the island's postcards. After a day on the beach, watch the sun set over the cliffs of Cova d’en Xoroi, dine a lobster stew in the port of Fornells, try the island's typical cheese and sobrasada sausage or treat yourself to a slice of home-made ensaimada, as the food in this area is exceptional. Book one of our offers for flight + hotel in Menorca, the island declared Biosphere Reserve in 1993 and savour its nature. Combine tranquillity and relaxation with cultural tours, as well as sampling excellent cuisine. 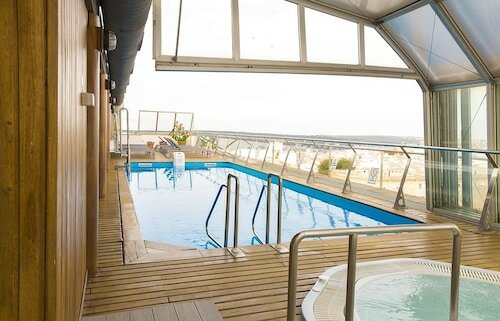 The next time you have holidays, don't hesitate. Visit Menorca. You'll be surprised. Spain's Balearic Islands are some of the best destinations in the world for a beach holiday. 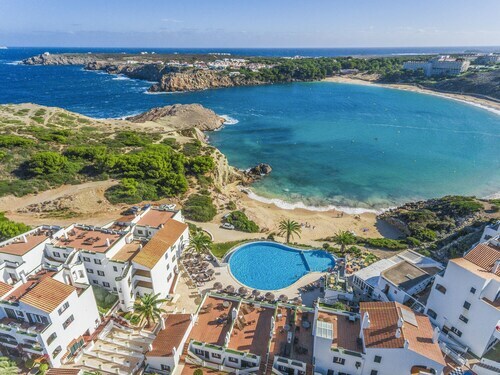 If you like beach holidays in Menorca then you're sure to love our all inclusive holidays to Menorca, cheap beach holidays to Mallorca or our Ibiza beach holidays. Book with Expedia and find out why for yourself. 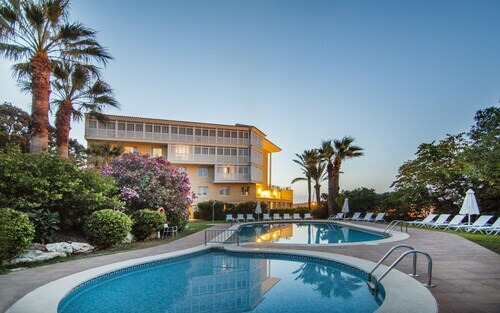 Situated in Ciutadella de Menorca, this golf aparthotel is within 3 miles (5 km) of Church of Roser, Cathedral of Menorca and Church Socors. Museum Diocesà and Plaza de Alfonso III are also within 3 miles (5 km). 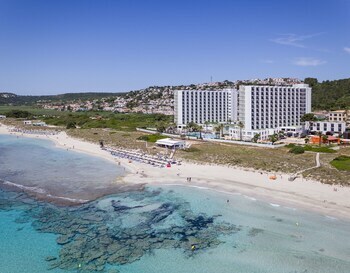 This Mercadal aparthotel is on the beach, 2.2 mi (3.5 km) from Albufera des Grau Natural Park, and within 9 mi (15 km) of Golf Son Parc and North Menorca Marine Reserve. Mahon Harbour and Tirant Beach are also within 12 miles (20 km). 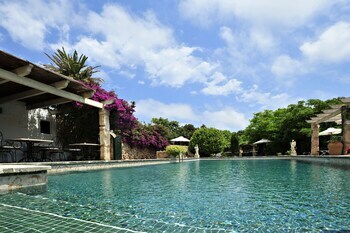 Located in the heart of Mahon, this spa hotel is within 1 mile (2 km) of Museum of Menorca and Mahon Harbour. Arc de Sant Roc and Church of Santa Maria are also within 10 minutes. 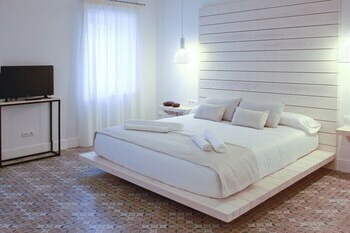 Situated in Mahon, this hotel is within a 15-minute walk of Museum of Menorca and Mahon Harbour. Arc de Sant Roc and Xoriguer Gin Distillery are also within 10 minutes. 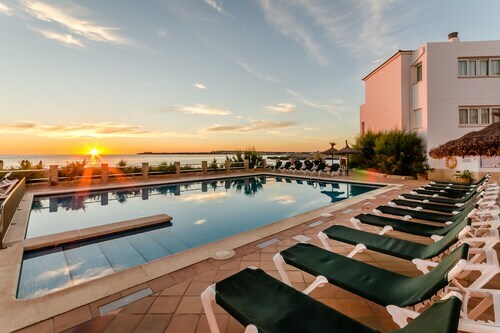 Situated in Sant Lluis, this hotel is within a 15-minute walk of S'Espenyador and Cala Rafalet. 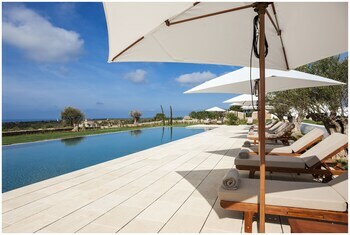 Punta Prima Beach and Illa de l'Aire are also within 3 miles (5 km). Located in the heart of Ciutadella de Menorca, this apartment building is within a 15-minute walk of Castello de Sant Nicolau and Cathedral of Menorca. Church of Roser and Church Socors are also within 1 mile (2 km). 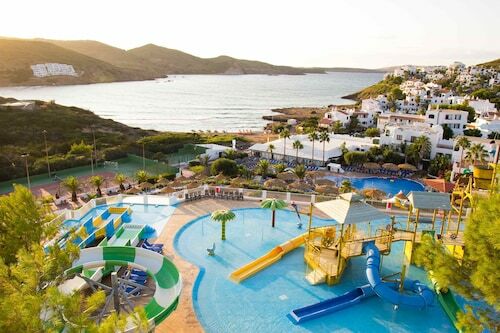 This family-friendly Alayor resort is located near the beach, 0.9 mi (1.5 km) from Son Bou Beach, and within 9 mi (15 km) of Centre Zoologic Lloc De Menorca and Monte Toro. Torre d'en Galmes and Taula de Torralba are also within 9 miles (15 km). 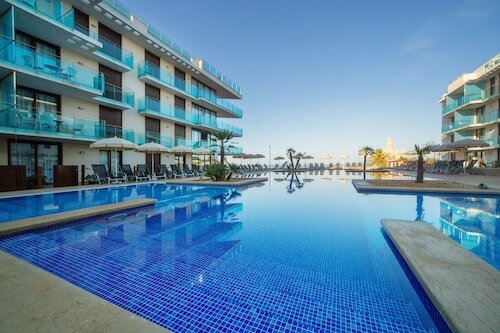 Offering direct access to the beach, this Mercadal aparthotel is within 9 mi (15 km) of Golf Son Parc, Monte Toro and Cala Pregonda. Cavalleria Lighthouse and Santa Agueda Castle are also within 12 mi (20 km).